Autumn is finally here! For Gainesville, that means slightly cooler weather and fall festivities! 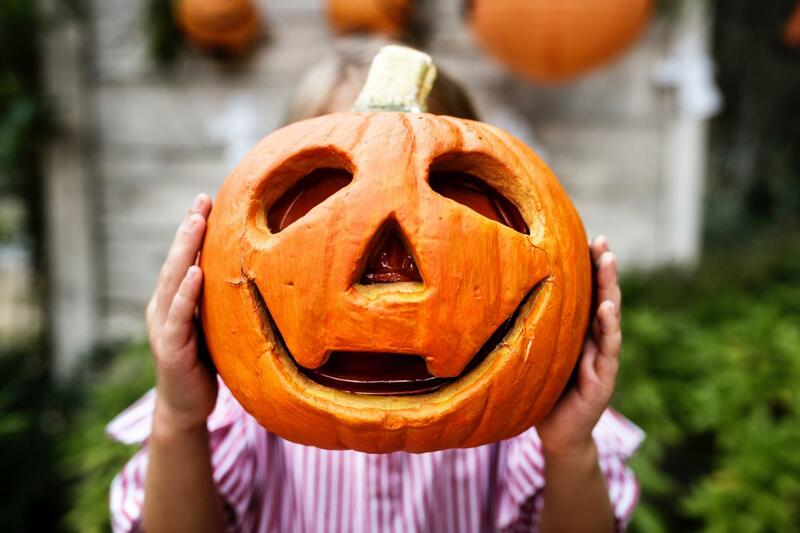 If your family wants to wear costumes, trick-or-treat, and possibly get scared this October, check out these family-friendly Halloween events in Gainesville. The Fall Festival at Roger's Farm just north of Gainesville has lots of family-friendly activities including a pumpkin patch, petting zoo, pony rides, and a corn maze, which transforms at 8 p.m. with the emergence of goblins and other creatures. This event runs on Fridays and Saturdays from 5 p.m. to 11 p.m. and on Sundays from 1 p.m. to 5 p.m. Admission is $8 for the attractions and $12 for the corn maze. On Sunday, October 21, bring the family out to Sun Country Sports West ​for Howl-O-Palooza in Jonesville, 13 miles outside of Gainesville. There will be rock climbing, obstacle courses, train and hay rides, face painting, and a costume contest hosted by Gainesville's local radio station, KISS 105.3, plus much more from 3 p.m. to 6 p.m. The Newberry Corn Maze is an annual family-friendly Halloween event in the Gainesville area that's definitely a must for the season. Running on a large farm in Newberry since 2004, this corn maze will be open through Saturday, October 27. Everyone can enjoy the maze, but the fun doesn't stop there. If you like a good scare, the corn maze also has a scary trail full of jump scares plus a spooky hayride and their popular haunted barn! Santa Fe College Teaching Zoo ​is hosting one of Gainesville’s favorite Halloween events, Boo at the Zoo. The zoo is decorated for Halloween and offers a safe place for families to trick-or-treat and appreciate wildlife. Admission is the donation of one canned good for Gainesville Harvest and Catholic charities, so bring several cans to the zoo on Halloween between 3 p.m. and 7:30 p.m. These family-friendly Halloween events in Gainesville are fun for all ages, so everyone is guaranteed a ghoulishly good time. Now all you have to do is figure out what costumes you and the kids are wearing! Find more Gainesville events by registering on 352area, your free guide to North Central Florida.